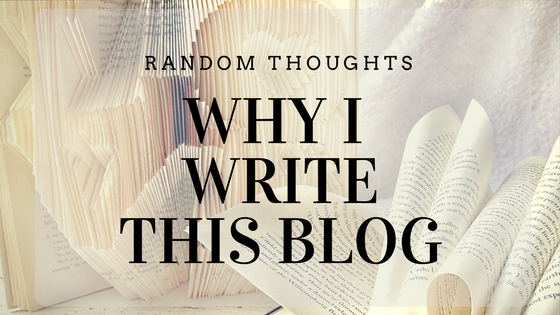 Why Even Write a Book Blog? Alright,guys, let's be honest here... I have been writing over in this corner for years now... I know it's amazing! I love sharing with everyone, but the blogging world has changed so much in the last 7 years... and I've felt the tides pull me different directions over that span of time... I'm sure everyone would. For a while in the very beginning this corner was for me to write about books, what I thought about them... Then Goodreads started to pick up speed, and I switched to writing more of a lifestyle blog... and spent a good amount of time on Goodreads. But I realized, this little corner, this is a space for me to be me. I love words. I enjoy seeing how different authors use those words to spin stories, and create worlds, and take readers on adventures. And I hope that there are others out there that enjoy that too... more importantly I hope those people find this corner and will gush with me over all the books! I am sure you can guess it, my top reason is that I love books! Books hold so much power because words are powerful. In today's world of screens and pictures and movies and such, too often people forget the power of words. But when you dig in and really look at where power comes from, it always has to do with the words - what people say, what people write... and those things are inspired by what others have said, wrote, and read. Since words have power, books, good books anyway, should have some kind of impact on you. Your brain should be engaged, and when your brain is engaged you should have thoughts and ideas that you simply have to share. Maybe the book will make you think and you need someone to ask questions to or bounce ideas off of. A book blog allows for that. I am able to work through my thoughts on a book in a way that allows me to see how impacts my life. A book blog allows for more in-depth reviews to be given than what so many leave on Amazon, or even Goodreads for that matter. Others can see the pattern to my reviews and start to trust my opinions instead of having to guess at who's review on Amazon is worthy of attention... Everyone will take to books differently, it's the nature of humanity, so reviews need to be honest, from people you can trust, and know will share truthfully about the book. This blog has a ton of reviews, and I try very hard to be honest so that you can trust my words because seriously, most people do not read as many books in a year as I do... so you need to make sure you are picking up some good reads! I can find other book lovers on the web easier than in person. Alright, stick with me on this one, because most of us who love books are also introverts. So while that doesn't mean we are locked away in our homes all the time, it does mean that even when we are out socializing, we tend to stay in a small circle. As a result, we have a hard time finding each other. Us book lovers need to stick together, but the world can make it hard to find each other... this little corner is the perfect place for book lovers to come together and share thoughts on books! Because I want to get more books!! Alright, this is a selfish reason. But I love getting ARCs or finding a new author, and again, it's hard to do! The media has taken on the responsibility of picking all of the popular books and authors... now while they sometimes hit the mark, and I love who they love, there are countless more great authors out there just waiting for some attention. This little blog has helped me to find authors I would have never found if I was just picking up books from the library or popular shelves at Barnes & Noble. 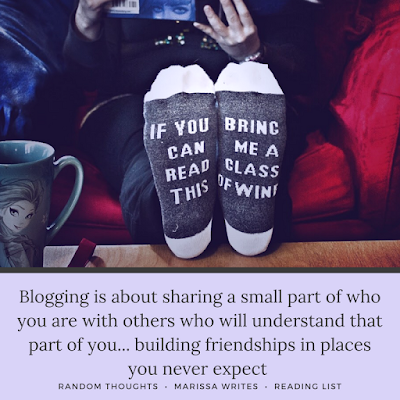 So I could probably babble on for a while on more reasons, but when it comes down to it, I have reached the point in my blogging career where I know who I am - I am Bibliognost who simply wants to meet others who have great knowledge of the written word. So I will continue to share my thoughts on books as I would my way through my ever growing to-be-read list. I hope you will continue to follow along. If you've been around for awhile, I'm sure you know more about how this blog evolved as it has, and I'm still that girl. The one who is striving to figure out the mommy world while growing in my faith... but the thing is, I'm also a book and word girl... and the paths we are one might seem very different. However, I'm willing to bet if you talk to me for a bit, you'll realize I haven't really changed much. Always, I write on here, so that you might get involved also... so say hi, or tell me what you are reading. Every weekend I put up a little on what I am reading, and would love for you to join in the sharing! Or if you are a bibliophile looking for a little community join me on Instagram and see the lovely bibliognosts there! Or follow me on Goodreads, because again, I'm chattier over there. Are you a new follower? Have you been around for a while? Chat with me! I'd love to hear from you all. 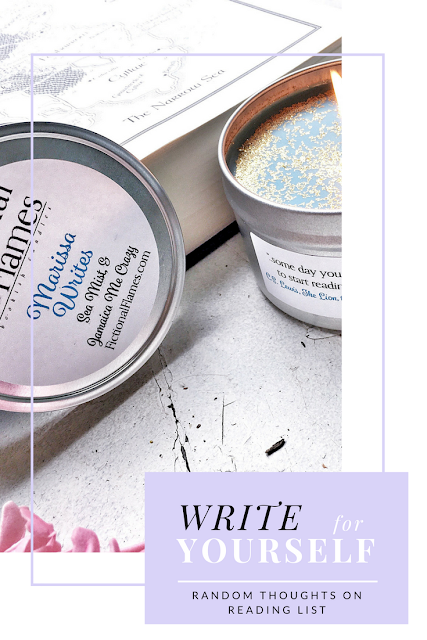 If you are interested in more of the specifics of this blog, and a collection of the types of posts I put up, click over here to Meet Marissa.